I’ve been thinking about effective pre-practice and pre-game routines and how players can maximize their preparation. A good routine should prevent injury, raise heart rate and mentally prime the athletes. It should be dynamic and challenging, not static and predictable. Take initiative to get better by creating a routine that can be practice during pre-practice, pre-practice and afterwards. Take shots or perform moves that you use in games or manifest themselves in the offense that the team runs. If drills do not mimic competitions, they will not prepare athletes. Select a weakness that impacts your games and breakdown plays and sets into smaller actions that involve one or two players. Damian Lillard spends off-seasons rehearsing screen and roll situations and DeMar DeRozan practice finishing against contact in the 2016 summer. Select skills that are within your Zone of Proximal Development. They should be achievable with some effort and demand physical and mental effort. Extend your shooting range. Add post moves or counters to your game. Anthony Davis works on three-point shooting. LeBron James visited Hakeem Olajuwon to develop his post game. Sometimes warm-ups are disorganized and distracted. When the clock is on, i’s time to do work. Don’t joke around and lose reps. Stay focused, monitor your score and keep time to stay on track. You should start sweating during the pre-practice session so keep a water bottle handy. 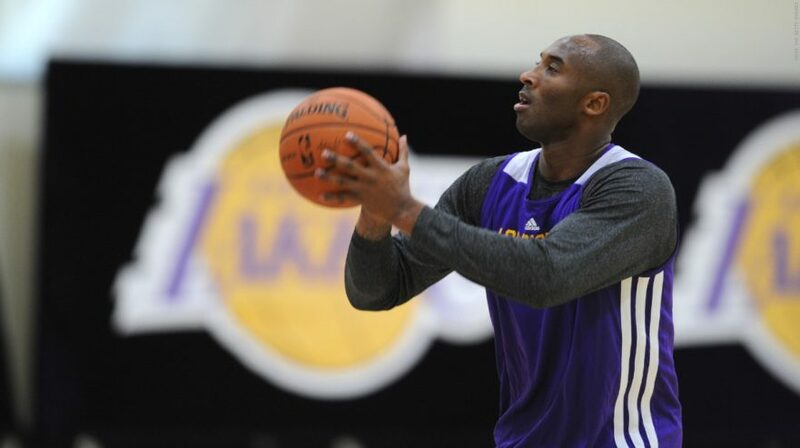 Kobe Bryant is known for intent focus during his shooting practice, visualizing each shot entering the basket. Get dedicated practice reps. Come in early or stay late in order to put up more shots. To get fifty or one hundred reps, athletes need to reduce the time between shots. Gradually get more shots up and build towards a higher number. Do work, then get out. Klay Thompson, Kyle Korver and other great shooters are known for putting in extra shots whenever possible. Peers are powerful motivators. Hold yourself accountable by picking another driven teammate as a training partner. Passers and rebounders enhance drills and friendly competition raises the intensity of the drills. Although they were rivals, James and Kevin Durant trained together during the summer. Kyle Lowry and DeRozan meet to shoot late at night in the Air Canada Centre. As the routine progresses, increase the difficulty in order to expand your game. Throughout the season, continue to test yourself by making the drills more difficult. Steph Curry starts his biggest pre-practice with basic ballhandling and finishes with longer shots off the bounce. It goes without saying that players must perform the reps in order to get better. Great players have spent a tremendous amount of time in the gym and any player who wishes to rise to an elite level should create their own routine that hones their game. Consistency is the toughest part of greatness. Ray Allen was known for his meticulous preparation. The San Antonio Spurs built a culture of all players taking the early bus in order to get more shots up. This Prezi shows how real professional players use dedicated practice in pre-practice and pre-game situations to their advantage.